Christmas has come and gone. If you are like me, the tradition of sending out Christmas cards with a personalized Christmas letter has gone by the wayside. I suppose I have become more lax, what with the ease of keeping in touch via Facebook and other social media outlets. Really though, who doesn’t like to receive a real letter in the mail? So why not start a new tradition? 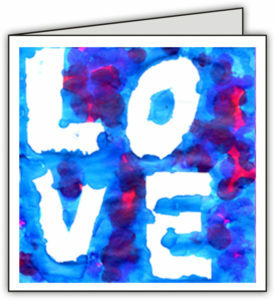 Winter is the perfect time to create your own love cards. This February, send homemade he(art cards). Budding Artists makes it easy. 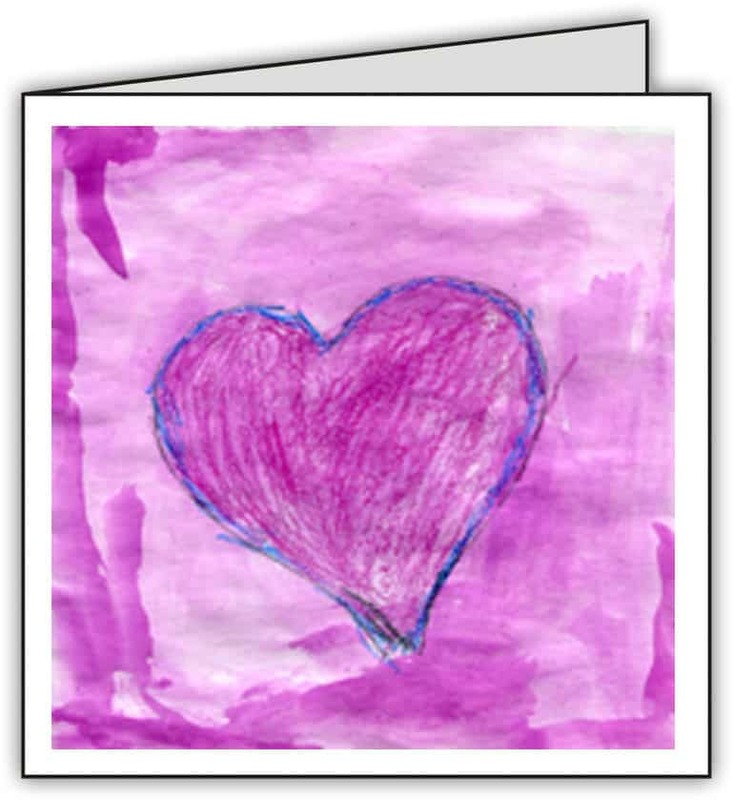 For the month of February, send us your artwork and make your own he(art) cards. 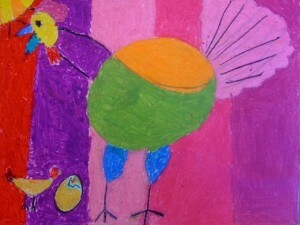 Spend some quality time together to create art with your child. Come up with a meaningful message from both of you to insert into the card. Bring back handwriting and enjoy time with your family—creating and writing! 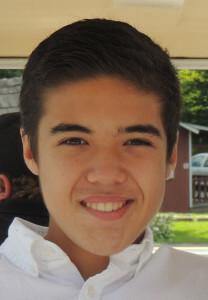 Your friends and family will be touched by your thoughtfulness. Anyone that has ever stepped into a home that includes children has certainly seen a fridge full of art covered in colourful blobs, scribbled designs, and creative messes. What you may or may not be able to figure out is what those pictures represent. Is it a tree, cat or picture of you? Or is it anything more than playing with the colour blue? 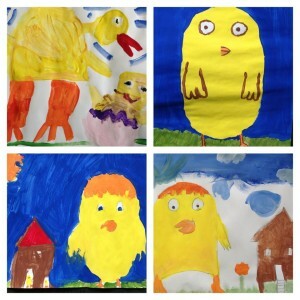 When it comes to children’s artwork, it ultimately doesn’t matter. Children’s creativity is more about the process of making it, than the final product. That squiggle in fact might be a car going fast. Kids aren’t professional artists and it doesn’t matter if the final piece is a masterpiece or not. What you want to encourage is the continued pleasure in making it, because with a little more practice they just might be. 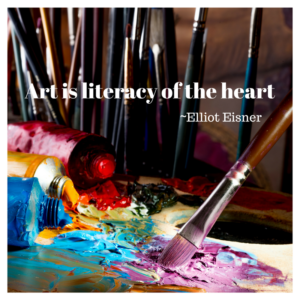 So how do you encourage your children to make art and show them that you care? A little conversation goes a long way. Try talking to your children about their art. 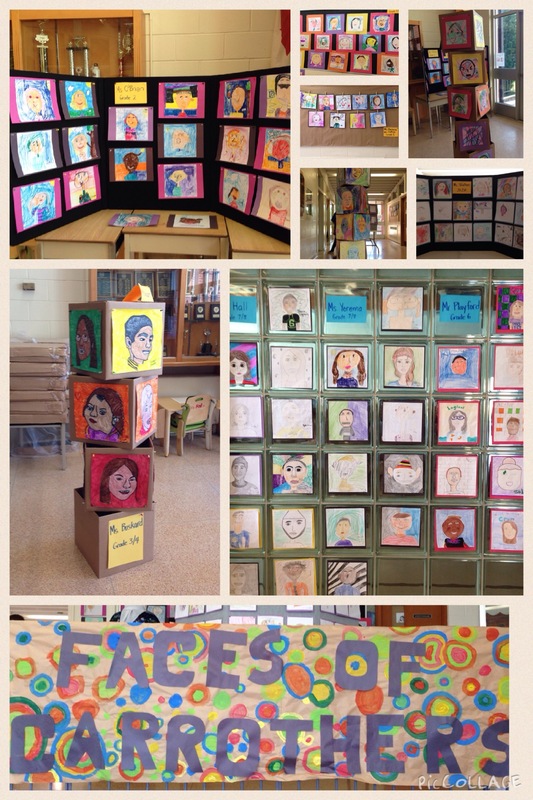 Not only will this show your children that you care, but it gets them thinking about their artwork as well. If you are at a loss as to how to talk about the purple blot surrounded by brown lines, don’t worry. There is a story in that art, you just have to figure out how to find it. How did you make that shade of green? Wow, you filled the entire page with your painting! You’ve used lots of different lengths of lines in your picture. That looks just like the flowers in our garden! I think our trip to the fire station inspired this picture with all that red. Why did you use those colours in your painting? Where did you start drawing? Why? What do you like best about your picture? Which picture are you going to take off the bulletin board to make room for your new one? Do you think Grandma would like this one for her fridge? Point out their use of colour, space, lines, and/or other elements: Instead of asking your child what their art is or giving blanket praise to everything they create, comment on the elements within the art. Talk about what you see and recognize, like the colours, spaces between them, and the lines that bring them together. This shows that you are engaged and understand the process that your child has gone through. Draw comparisons to life, the world, or other artists: Many artists try to recreate images in their artwork, for example in portraits, landscapes, still life’s and more. Draw comparisons between your child’s art and beyond. Point out similarities and see where the conversation leads. Encourage critical thought: There is so much more to art than what you see on the page. 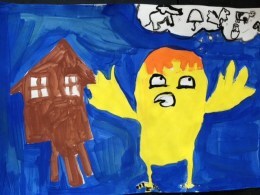 What inspired your child’s artwork? What made them interpret it in the way they did? 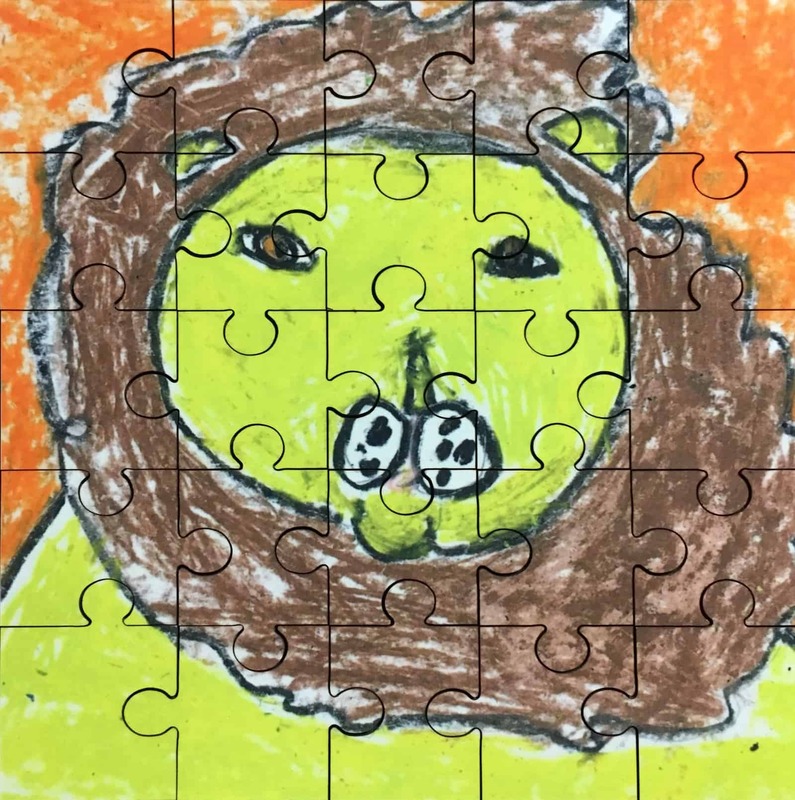 How can you get your child to talk more about the process they went through in making their art? 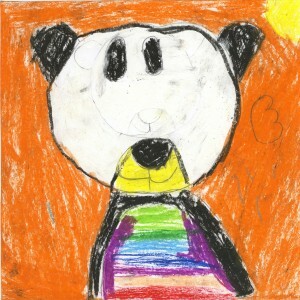 Offer pride of placement: Now that you have your child’s new art, what do you do with it? Here is another way that you can involve your child. Ask them where they would like to display their newest artwork. Would they like it on the fridge, bulletin board, on their bedroom door or wall? Remember that every new piece that gets displayed means that an old one gets taken down, so having them choose builds pride and ownership. Don’t assume what it is: Talking about your child’s art is a wonderful way to have your child feel like you care about it, until you guess what the picture is and get it completely wrong. 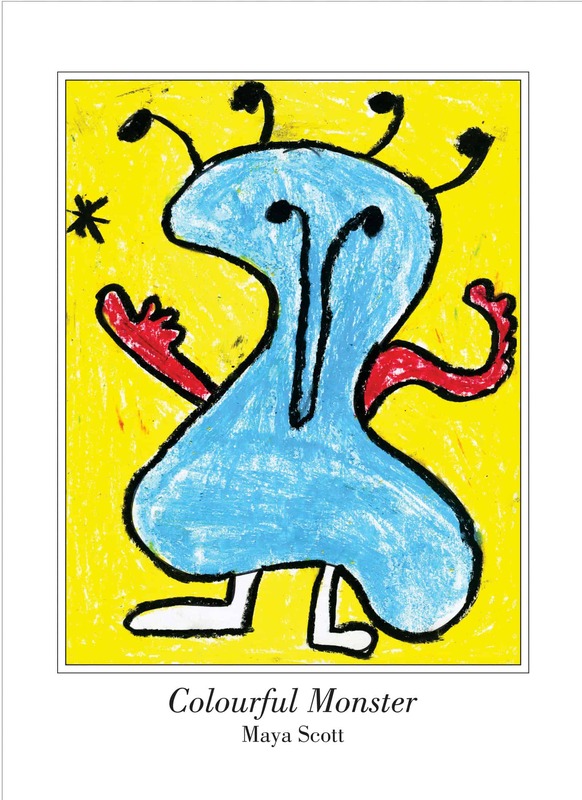 Children can quickly get discouraged, declare they are no good and give up on art altogether. 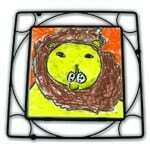 What you think might be helpful guessing, could blow up in your face, so try not to always assume the topic of your child’s art. 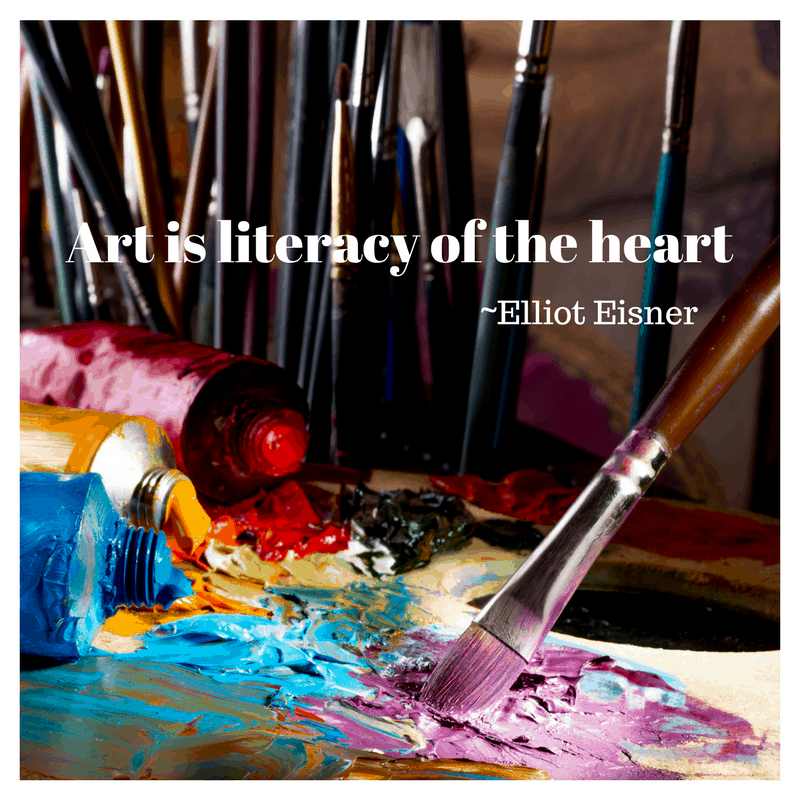 Instead, let them take the lead in explaining their art. 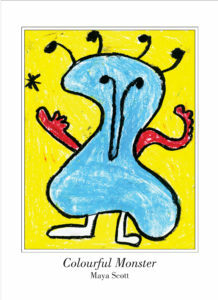 Children equate art with drawing. Many base their art confidence on their ability to draw. It takes practice. So giving children the time, space and materials to practice is key in helping foster their confidence. Breaking it down in shapes is key. Materials to start the process: pencils, good quality eraser, sharpener and a blank art book. Listed below are some websites and some of my favourite drawing books. Many of which can be found in your local library. Kids Front: For younger kids. Step by step with a click of a button. Drawing How to Draw Video, Step by Step tutorial and written instructions. Ed Emberley. He has a series of books very popular with children. Step by Step Drawing Book by Usborne Books, Check out their many other titles. My favourite is the Kids Can Draw series by Phillippe Legendre. Here are some samples from students. Our NEWEST product is a 25 piece hardboard jigsaw puzzle. 17 x 17 cm $25. Till August 31, its on sale for $20 each. We currently have a limited number in stock. Email info(@)buddingartists.ca to order your personalized jigsaw puzzle. June 8 is our deadline for a Father’s Day delivery. 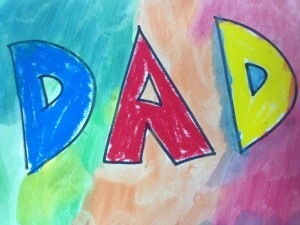 Create a one of a kind gift using a picture of Dad doing, saying and dreaming of his favourite activity. Choose from a pencil holder to a mug or a t-shirt to show off the artistic skills of your children. Here’s a quick easy art project using a resist technique. Using a sharpie, draw block letters of a word. Have your child colour inside the letters in crayon or pastel. Paint the the paper with watercolours, Et, voila une “masterpiece”! Another variation is to use bingo dabbers and contact paper. Cut out the letters and place upside down. This will be tricky since you have to make sure the letters and right side up. Your child will have a great time using the dabbers to dab all over their masterpiece. 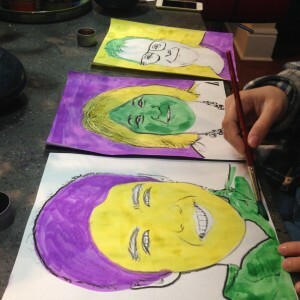 Why not create an Andy Warhol portraits of your family? 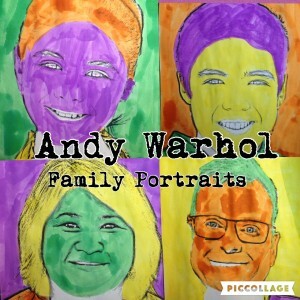 Many years ago, I came across Jessica Camis blog Art Smarts 4 Kids on creating Andy Warhol portraits of children. She recommends Photo to Sketch which I have to say is still the best program to use. I made minor changes when I created my son’s portrait. I used 30 precision but used 9 for line. I like seeing my lines thicker. I also put it through Photoshop just to clean up some of the lines. Here you can see the original and the cleaned up version. We used liquid watercolours because I love them. You can use pencil crayons, markers or regular watercolours. Use 4 colours and alternate the colours between hair, face, background, shirt. My daughter left the neck, eyes and lips white. I tell children to begin with one colour. Colour in this order: face, hair, shirt, background . Keep the images in order. Start with colour one and paint face of image one. Continue in order of face, hair, background, shirt. 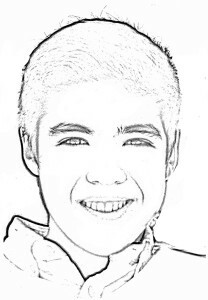 Take colour 2 and paint image two’s face next and then hair of image 3, background of image 4 and shirt of image 1 etc. Then I scanned each one and made them into one image. 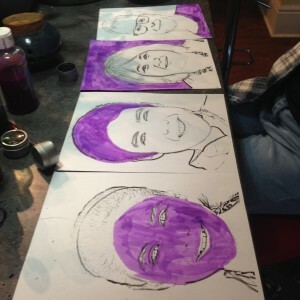 If there are four people in your family, you can do a sketch of each person or you can create one with four people. If you do create one, I would love to see it. Post it on our Facebook page. Chicken Big is one of my most favourite books. 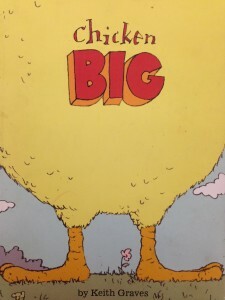 Its funny and entertaining about a very big chicken and how size has its advantages. Practice drawing chickens. We discuss proportions and and after that its up to the student to choose their favourite part of the story and recreate it as a painting. 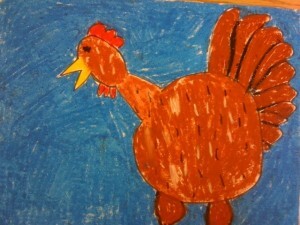 Guided drawing lesson of a chicken. Here is a quick stylized chicken video. Cover the entire page with colour. When your child is born you oh and ah over every little bit of them. As they grow, you encourage their accomplishments and applaud all the milestones that they pass. From rolling over to those first faltering footsteps, you cannot wait for every new deed that comes along. When they discover fine motor skills, you are the first one there with a crayon to draw with. That first piece of art is the most beautiful thing you have ever seen! But then there is a second, third, and fourth, and you quickly run out of room to display and store the artwork that is precious, but also oh so prevalent. What do you do then? 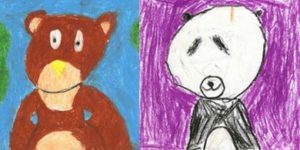 How do you display your children’s artwork in such a way that you honour it and give it meaning for your child and yourself? The fridge is far too easy to fill in an afternoon of creativity, so where do you go from there? How do you manage it all? Go beyond the fridge door and create an art gallery of your own at home. 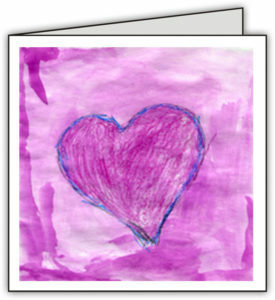 Dedicate one wall in the living room, playroom or hallway to your child’s art. Make it fun! Style it uniformly or irregular. Create a rainbow or a monotone! Try using themes to give a cohesive look to your “Art Gallery”, i.e. 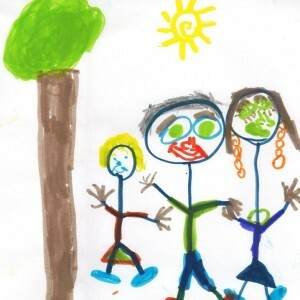 Spring pictures, pencil sketches, shades of blue paintings, or whatever suits your mood. 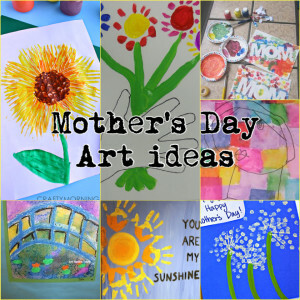 Get as creative with your display as your child does with their art! We all know that art doesn’t come in uniform sizes, so when your child brings home art bigger than your kitchen table, what do you do? An egg carton caterpillar might fit on a dresser, but large art can sometimes be cumbersome. Solution? Take pictures of large pieces & add them to a photo album to enjoy. The pictures will last a lifetime and only take up as much space as your much smaller album will. You can’t keep it all. I am going to give you permission now. It’s okay to let some of the artwork go. As new pieces are created, remove old artwork from your display location, whether it be a bulletin board, the fridge, your child’s bedroom walls or door. Set a rule for the number of pieces of art on display at any given time and stick to your limit. Either replace oldest pieces or let your child choose which ones to remove, but make a point of rotating your displays. This makes for better enjoyment of a fixed number of pictures without the overload factor. If you don’t want to take over an entire wall with your children’s artwork, why not go the route of a display art cabinet? The L’il DaVinci Easy Store and Display Art Cabinet lets you hold up to 50 pieces of art without the need to take down a frame to change artwork. You simply open a hinged door and place your new piece of art onto the spring loaded frame, then simply close the door to admire new framed art! 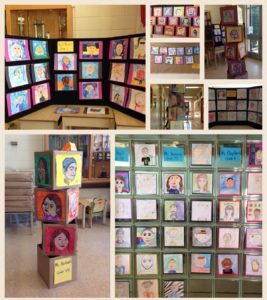 The cabinets come in 8 ½ x 11 or 12 x 8 sizes and are available from Budding Artists. Not all artwork is created equal. Turn special pieces into keepsakes and giftware. 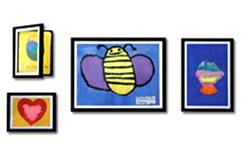 Budding Artists offers a wide variety of items that can be hand-designed by your own budding artist. Choose from coffee mugs, t-shirts, garden stakes, coasters and more. Perfect for Mother’s Day, Father’s Day, Christmas or birthdays! 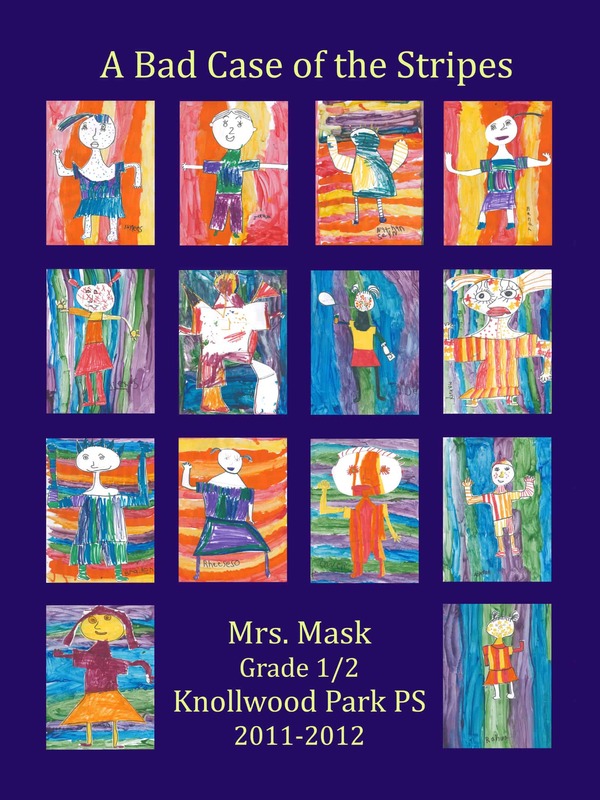 Browse through our Marketplace today to find the perfect piece to highlight your child’s art.